Bury is situated approx 7 miles from the Winter Hill transmitting station on the outskirts of Bolton, with Bury being this close to the transmitter Digital Freeview signals are 90% excellent meaning multiroom installations from the one Digital TV Aerial are possible withouth the need for Amplifiers etc. 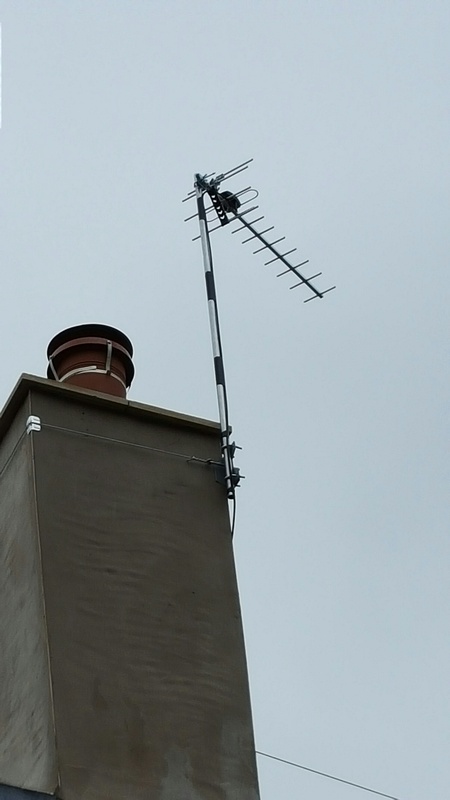 Here is an example of our single room installation consisting of, 1 x MZR 12 Digital TV Aerial, 1 x Chimney Lashing kit, 1 x 5 Foot Aerial Mast, 1 x Downlead fully fitted for £75.00 complete, for a multiroom installation we add on the mast a 4 Way Labgear Masthead Splitter with 2 rooms for £100.00 3 rooms £130.00 and 4 rooms for £160.00 these are fully inclusive prices, like for like we will not be beaten. So for a Digital TV Aerial installation in Bury for Freeview, EE, Youview or BT Vision, Freesat or Sky dish installation or any other TV work if you are after networking around the home get in touch.